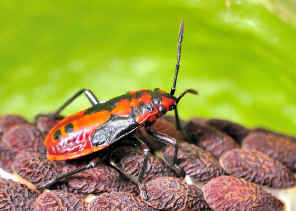 This page contains pictures and information about Large Milkweed Bugs in Genus Graptostethus and Spilostethus that we found in the Brisbane area, Queensland, Australia. Found this bug once on 2002. This could be just a colour variation of the above species. 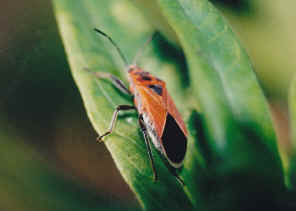 This is the largest Milkweed Bug that we found. 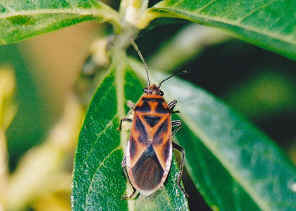 The bug is somewhat ovate with broad head. 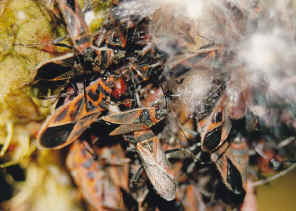 They were found on Milkweed plants. 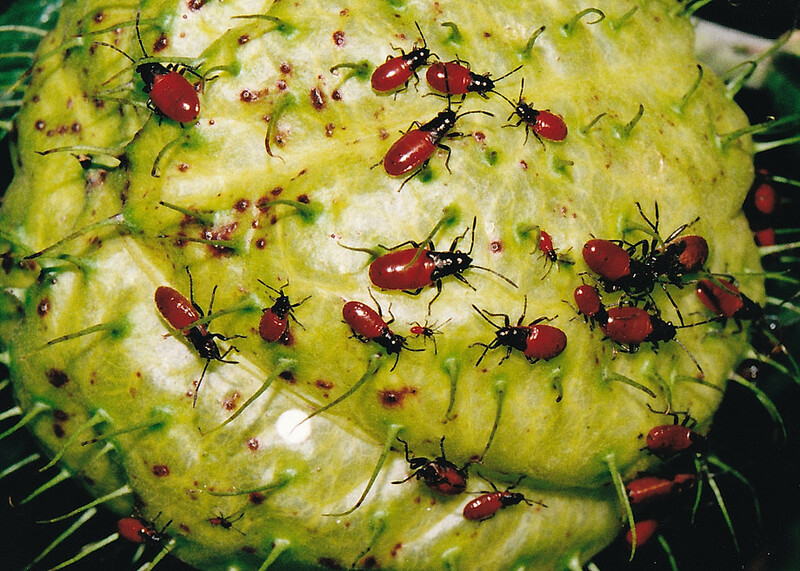 They are brightly red in colour with black patterns. Please check this page for detail information. 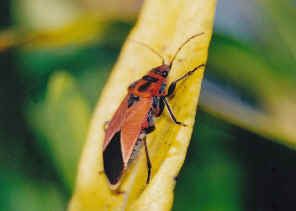 This Large Milkweed Bugs are red in colour, with black pattern on wings. This is the warning colour patterns to the predators. Their antennae and legs are all in black colour. 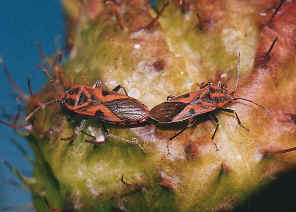 They can be found feeding on Milkweed plant seedpods. Details please see the Large Milkweed Bugs page.